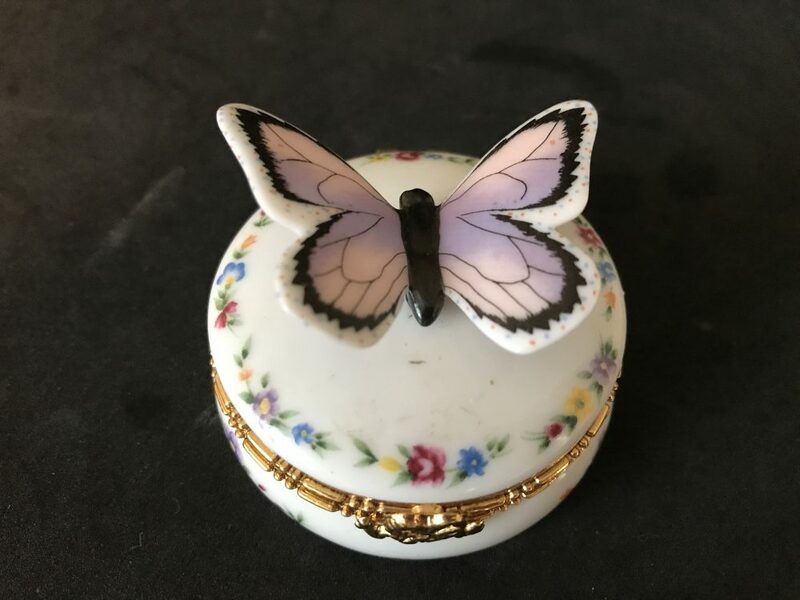 Vintage Lefton Lavender Butterfly Trinket BoxWelcome to Carol's True Vintage and Antiques Shop! 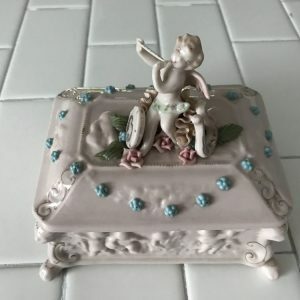 Categories: Trinket boxes, Vintage Collectibles. 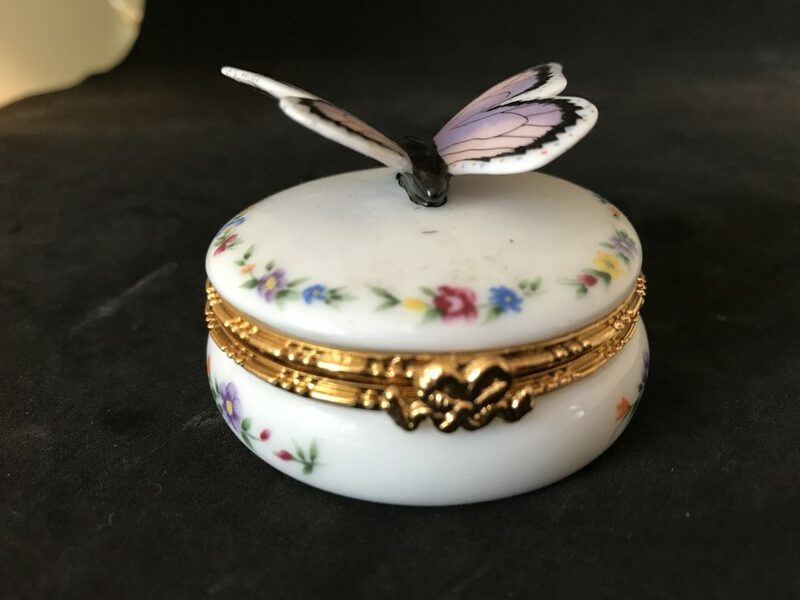 Tags: butterfly box, collectible decor, fine bone china, fine china, lefton china, lefton trinket box, ring box, trinket box, vintage china, vintage collectible, vintage home decor. 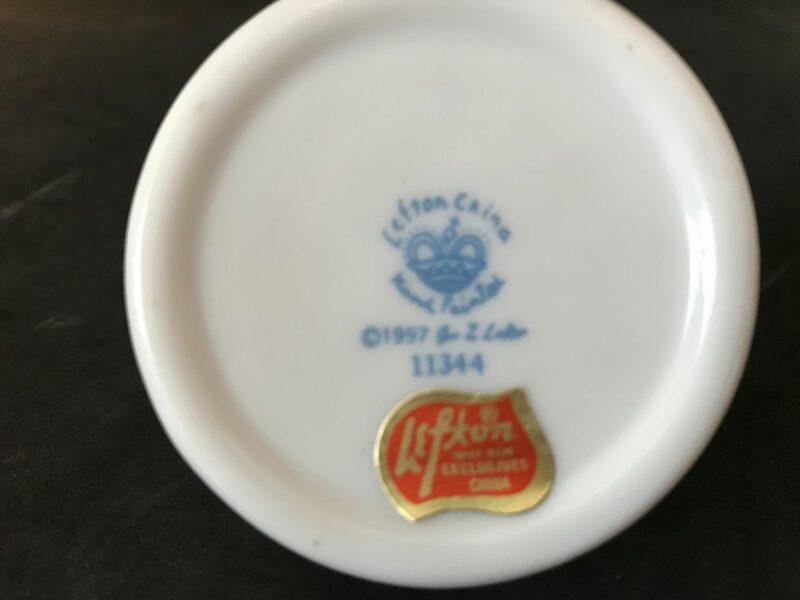 This is a really nice little piece of Lefton. 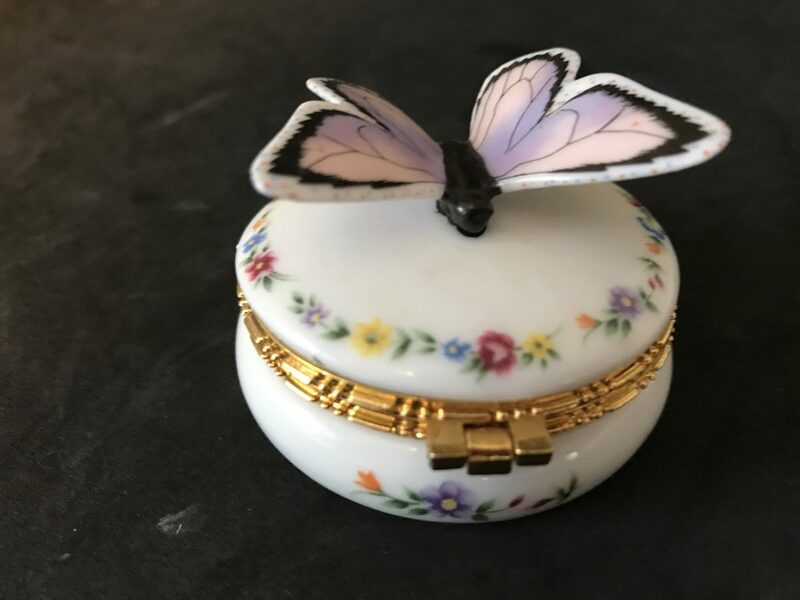 This is a fine bone china piece and has a raised Lavender and pink butterfly on the top of the lid. 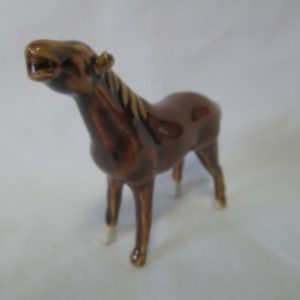 It has no damage of any kind. 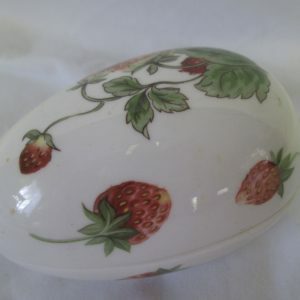 It is marked Lefton china, hand decorated and dated 1997. 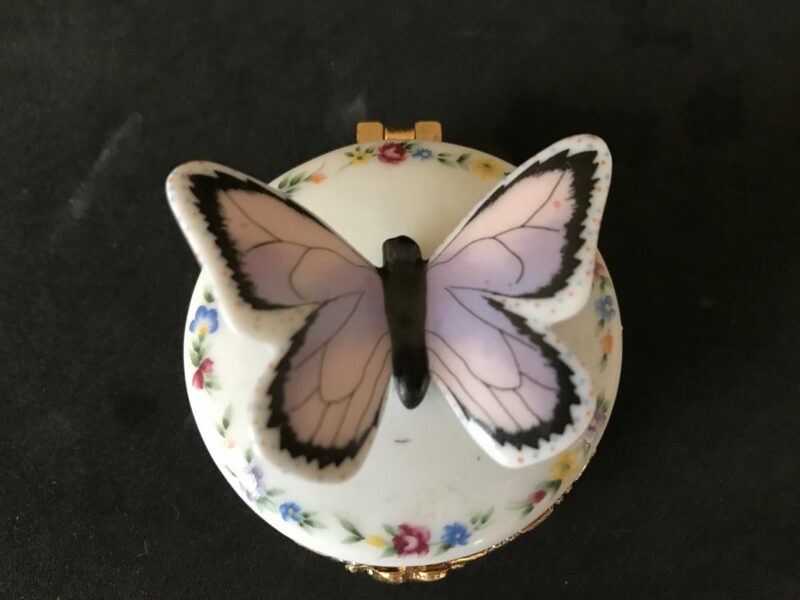 It is 2 1/2″ across and 1 7/8″ tall, to the top of the butterfly. 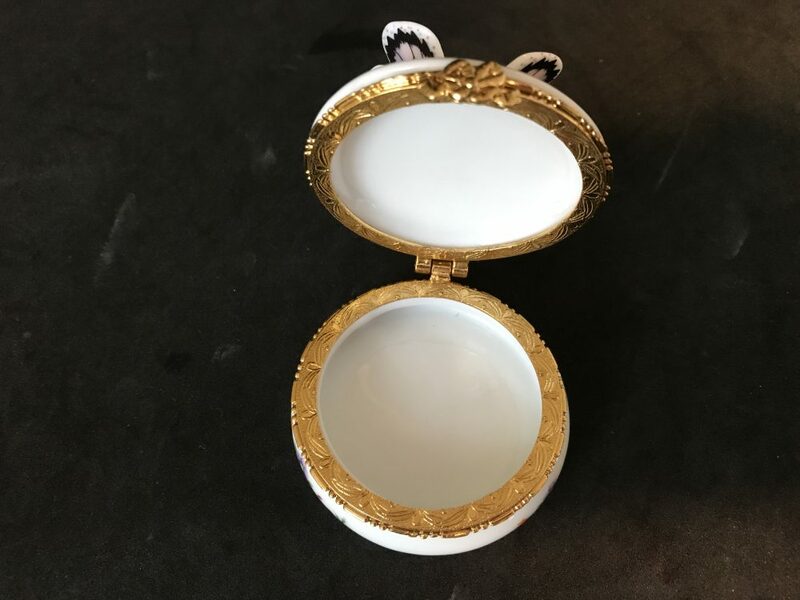 It is beautifully decorated and has tiny little flowers around the lid and 3 places around the base of the box. 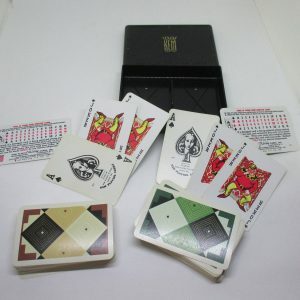 It is trimmed out in gold.